Remember the NHL lockout? Remember how desperate hockey fans were to see any type of hockey action? I remember. In fact, it was during that time that I went to the Allen Americans opening game just to watch a game of hockey, any hockey by any team. Now this might now not seem to be such a big deal to some but considering I live in Waxahachie and had to drive to Allen on a Friday night during the rush hour was a big deal. I had bought the tickets online and before I left Waxahachie, I called the Allen Americans home office to verify that my purchase had been successful and to get directions on where to pick the tickets up at the event center. I explained to the agent that I would hate to fight the drive and traffic only to get there and not have tickets. The purchase was confirmed and I looked forward to seeing some hockey action finally. Now having been to many hockey games, my first thought was that we were going to participate in some sort of activity during one of the period breaks (sumo wrestling, ice bowling, etc.). My first indicator that I was wrong was when he led us into an elevator and the attendant pushed the button to the top floor where the suites were located. Sensing our puzzlement, Richard explained that there was someone who wanted to meet me. Someone who wanted to meet the hockey fan that drove all the way from Waxahachie, Texas on a Friday night to watch the Americans. I thought to myself, Okay, I’m game on meeting new people. I might meet someone interesting. 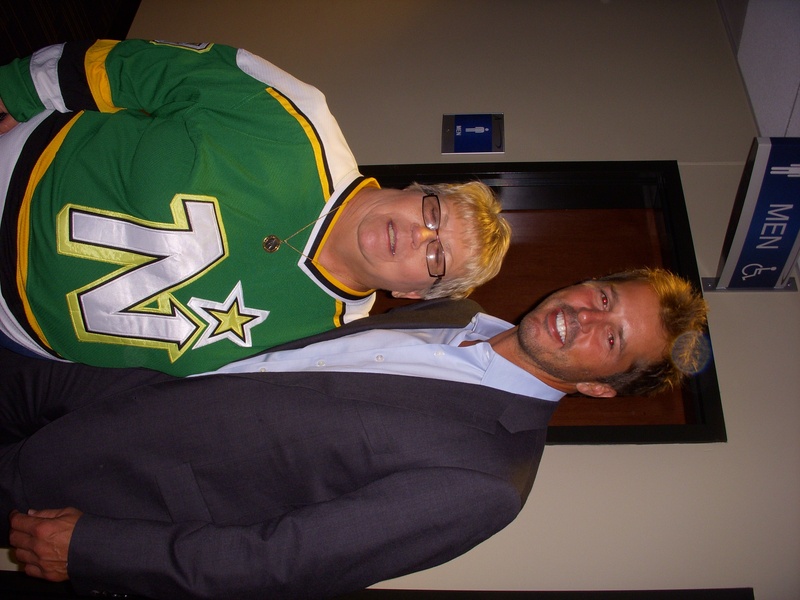 When the elevator door opened and we stepped out into the concourse, after only a few seconds of walking, much to our amazement, we saw Mike Modano walking toward us. Richard said, “Mike, this is Sylvia. You wanted to meet her.” Now I have met important people in my life and I have been able to conduct myself in a dignified manner but upon meeting Mike, I found myself totally star struck. For the next fifteen minutes, Mike Modano knew exactly who he was because all any of us could say was, “Your Mike Modano!” I think he gets that a lot. He was so gracious and friendly. 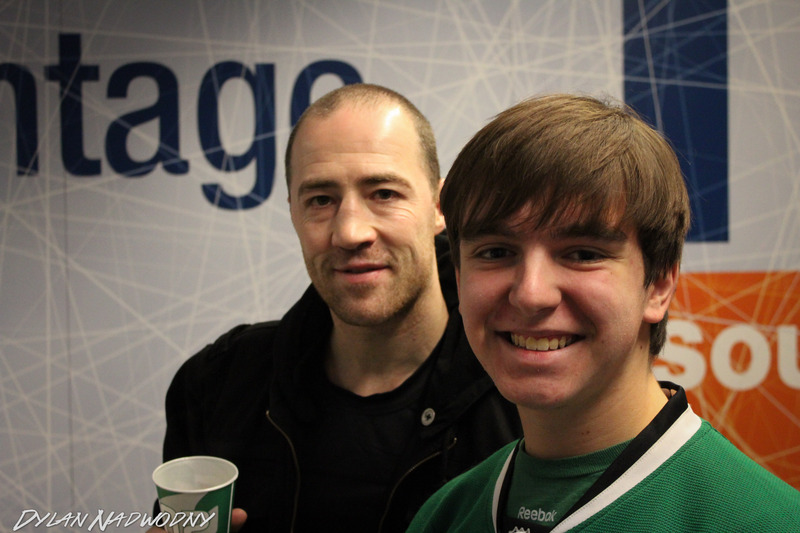 He signed autographs, chatted, and let us take all the pictures we wanted. He even allowed an old hockey fan to give him a hug. It was that night, not the nights I watched as he scored multiple goals or skated like the wind on the ice, that I became a true to the core Mo fan for life. Sorry, Eddie, you were replaced in my heart that night.